It’s always a choice whether we listen to our internal guidance, the voice of the womb, the flow of energy and the inspired action of the body. That wisdom, that voice, the clarity or direction we search for is contained within an internal knowing that can also be unknown. What do I mean by unknown knowing!? When we want an answer, whether that’s to know which direction to go in, how to find a solution to our problems, move through relationship stagnation, understand why we’re reacting/feeling a certain way, there is always an answer. Yet often when we move into our internal guidance, listening deeply to an underlying, consistent, eternal knowing; the answer in that moment may be a knowing that the answer has yet to come, to be patient or perhaps that a small and unusual step would be beneficial to take first. Our ‘work’ is to trust that knowing even if it feels unknown at the time. Often the most challenging ‘task’ we face is to trust our own sense of flow and guidance, to trust the way that we perceive and read energy in the form of an impulse to go, say, do or be, to contact that friend or ex-lover, to have a difficult conversation, to make that video sharing your voice moving you to a new growth edge, to get down to some fast work, develop new skills, wait, be still, to rest. The guidance can be clear and yet, listening, trusting and following through can take practice. We can choose not to listen. And that’s OK. In not listening, we experience how we feel in relationship to ourselves and the resulting emotions, feelings and body sensations that arise in choosing not to listen. We can dance the dance of listening and not listening throughout our lives until we realise that, listening usually feels and works out a whole lot better than not listening! What does the voice sound or feel like? How do I learn to trust myself more? How do I get to this answer and listen in the first place? How do I better understand the language of my body and intuition? What is the ‘voice’ of the womb? It is an ongoing dialogue, a conversation with yourself and your body, your mind, your energy, your being and the universe that you are a part of. And it’s a skill that can be developed and learned. Also coming up for Berlin locals > Learn Tools for Authentic Confidence on Sunday 18th of October > we will work through power practice questions to cultivate confidence and trust in ourselves. We’ll reflect on our deepest desires of expression, creation and contribution and engage in self-honesty acknowledging what skills we may need to cultivate, what we already possess and to own it. This is a gathering to cultivate deeper connections over coffee and feel the support, inspiration and new energy of like-minded women in Berlin. 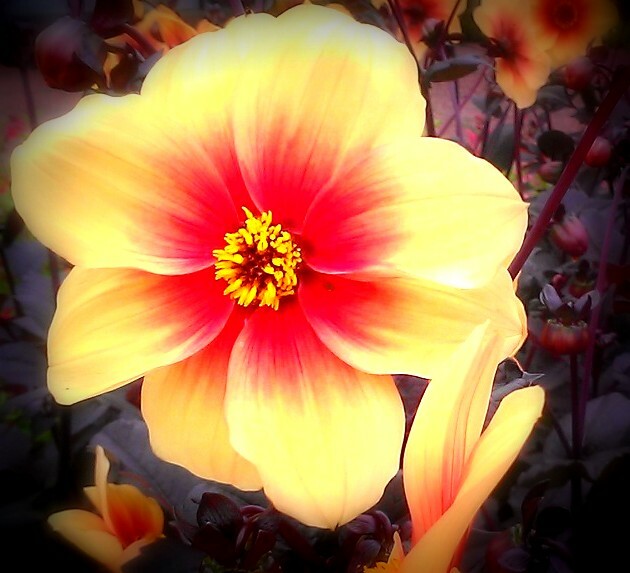 * image Botanical Flower by Jane Cormack © 2015.